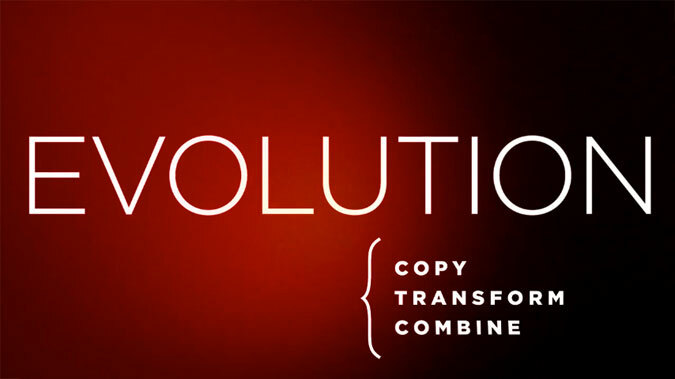 A fantastic recent video project by Kriby Ferguson called Everything is a remix, the main theme of which is ‘Copy | Transform | Combine’ – ideas and creativity. Beautifully produced with a very important message. It represents an important perspective of ownership of creative material and how our market economy drives us to think that our ideas are property that can be legally protected. Without copying and remixing, without a certain degree of what can be described as plagiarism new ideas cannot evolve from old ones. Creation requires influence and everything we create is a direct result of all influences we’ve absorbed. Please leave your thoughts and responses below.